Bloomberg News reported that President Obama met with the Silicon Valley (“SV”) billionaires on February 17, 2011, and reviewed the $307 billion dollar grant boondoggle in Obama’s budget for the computer industry. The grant will pay over $1 billion per work day to the SV insiders to fund their education and equipment needs to expand and control their New World Internet social monopoly. The group dined together that evening at the Woodside CA estate of venture capitalist John Doerr. A photograph of their dinner party appeared in the papers. I believe that one or more of the SV insiders in the photo may be the person or persons who killed the SV rising star, Ilya Zhitomirsky, on November 12, 2011. Ilya had created a new social site called “Diaspora” which many SV analysts believed was superior to Facebook and the rest in matters of personal privacy and security. When Ilya was killed on November 12, 2011, I reviewed about 45 sites and noticed that the news about his death only mentioned the word “suicide” as his cause of death. I didn’t see a mention of “possibly murdered” anywhere in the news blasts except from a police statement that said the Coroner would decide if he died from suicide or murder. 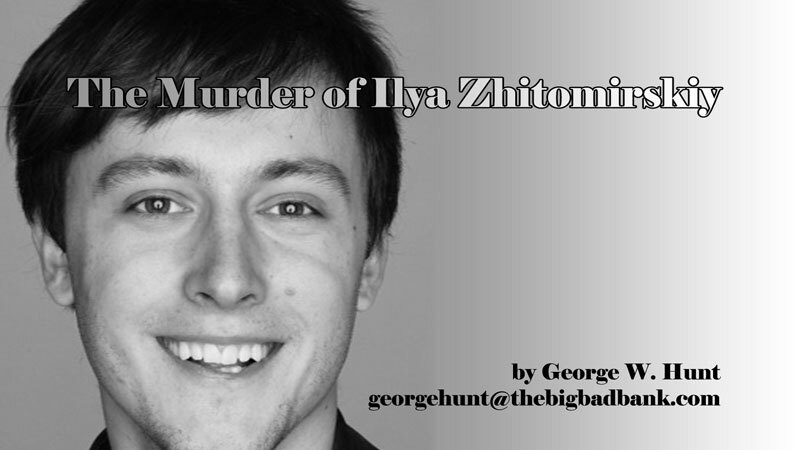 As far as I know I became the first and only person twho has publicly conjectured that Ilya may actually have been killed. When a 22-year-old young man is deluged by a flood of donations and praise for his new site it is very difficult to think he took his own life. He actually died from lack of oxygen (suffocation) which indicates that he was smothered to death. No plastic bags, no suicide note and no reason for a suicide points to murder by the SV elite confederacy. Ilya’s “Diaspora” social site respected privacy to the core. His project had already won applause in Silicon Valley. His enthusiasts donated large funds to his PayPal account and he became a hero among knowledgeable social site professionals .They recognized that Ilya had a better mouse trap. The SV elite were concerned about the emergence of this“outsider”. Diaspora could confound their private secret agenda. lya created a burgeoning social site that would not permit private information to be cast into the public universe, including police and corporate investigation. A Diaspora user owned their own information. No wonder “Diaspora” was nicknamed “Anti-Face Book” in SV. Ilya’s software was out of step with the SV info-hungry social sites who planned to monopolize all social sites. Five months after death the Coroner reported that Ilya had died from lack of oxygen, i.e., “suffocation”. I had called the Coroner’s office every three weeks for the death report. The usual time lapse for an autopsy report is about three or four weeks. My naext move is to alert the FBI and police to learn why the report was delayed and who was responsible for the delay and then go from there.